Boy can he stamp em! 11 years old AFD 24.3!!! Full Accoyo. Mother of Champions..Accoyo America has her now. 2015 Histogram just in AFD 24.3 SD 4.4 CF 92.2 Medulation 5.2 AT 11 YEARS OLD!! 9 Time Champion/Reserve ~ 12 First Place Awards! 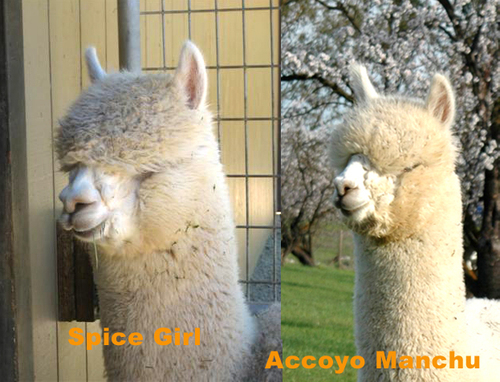 FULL ACCOYO! “Overall this male is excellent! He is a strong male with excellent substance of bone. He has a triangular head shape with a broad muzzle and good distance from eye to lower face. He is true to type thru his head and overall proportions, exhibiting fineness, uniformity of character throughout the blanket and excellent density for fineness. True Herdsire prospect! 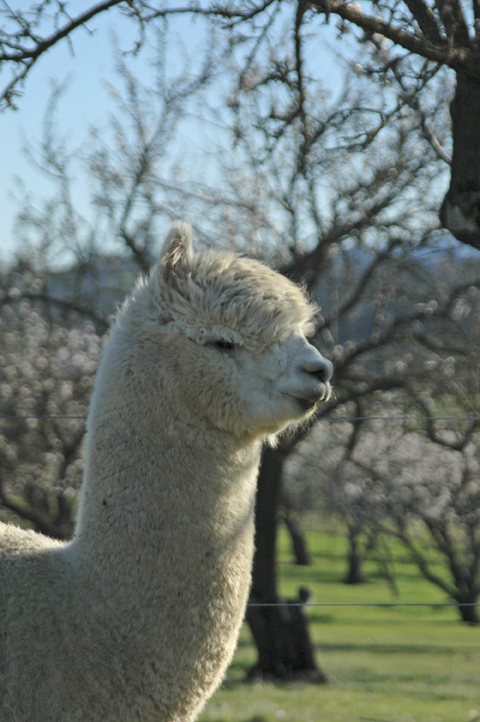 His 2008 Fleece (4 years old – D age category) Scored 80.5 points at AOBA Nationals 08; Fineness/Handle 18/20! ; Crimp 8/10! Manchu was still winning Fleece Championships at 5 years of age. His 2009 Fleece took Reserve Color Champion!! At 10 years of age - 2014 IAO Reserve Longevity of Fineness Champion!! have been shown, 21 of those have bannered!!! Almost 1/2 that show, WIN!! Outstanding female crias swept 4 SHOWS. 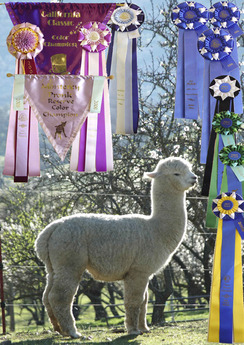 3 Shows in A ROW fall of 2010 winning Reserve and Color Champion at EACH SHOW! 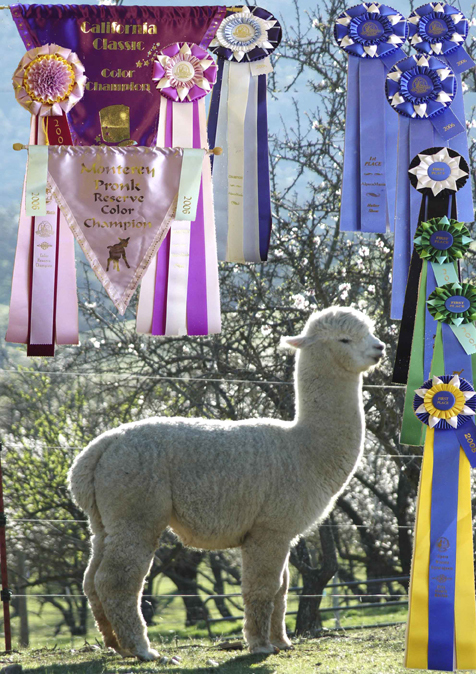 AlpacaMania 2010; Gold Country Gathering 2010; National Elite 2010 and in 2011 the California Classic. 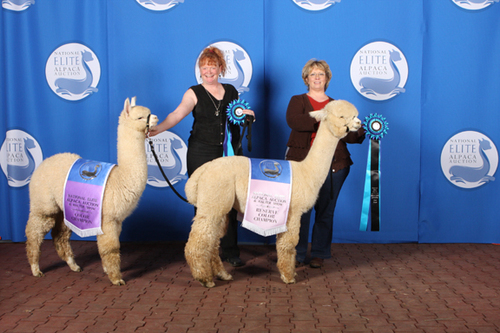 Excellent males sweep white in 2012 California Classic; 2013 IAO Cottage and 2014 Gold Country - WOW! 2017 EPDs TOP ONE PERCENT in TWO TRAITS! 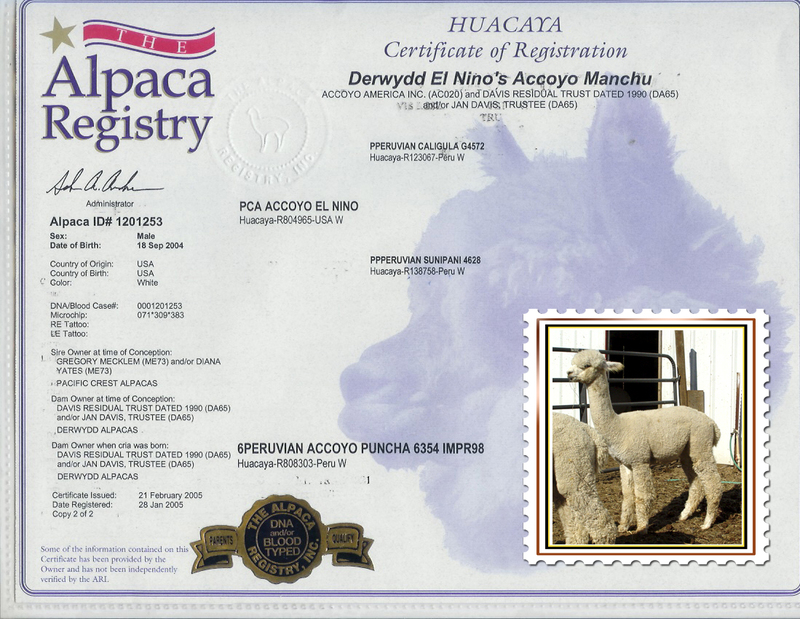 White Reserve Color Champion Fleece 2007 AlpacaMania AT AGE 3!!! 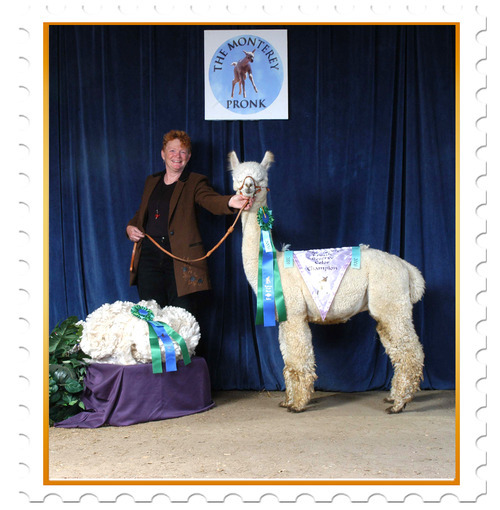 White Reserve Color Champion Fleece AlpacaFest West 2008 AT AGE 4!! White Reserve Color Champion Fleece CABA 2009 AT AGE 5!!! 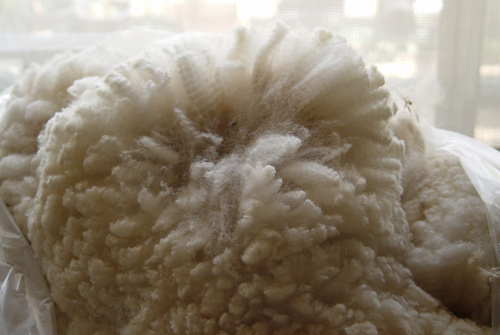 White Color Champion Fleece Dixon 2009!! Score of 83! !